The Chinatown Chinese New Year Celebrations 2019 Organising Committee has come out to defend the centrepiece of this year’s Chinese New Year decorations at Chinatown, that has drawn flak for looking “dirty” and “hideous”. 2019 is the year of the pig, according to the Chinese zodiac calendar, and Chinatown has installed almost 180 lighting fixtures of piglets across the enclave. The main attraction is a group of 9.5-meter-high, 7-meter-wide pig-shaped giant lights, located near Upper Cross Street. This year, Chinatown features their festive decor. 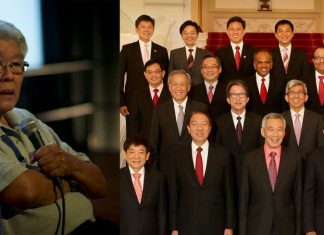 It is this attraction that has drawn the ire of several Singaporeans who feel the pigs neither look festive nor spread cheer, like the installations of years past. Several individuals have pointed out that the brownish color of the pigs make them look look grimy instead of cute, clean and adorable. 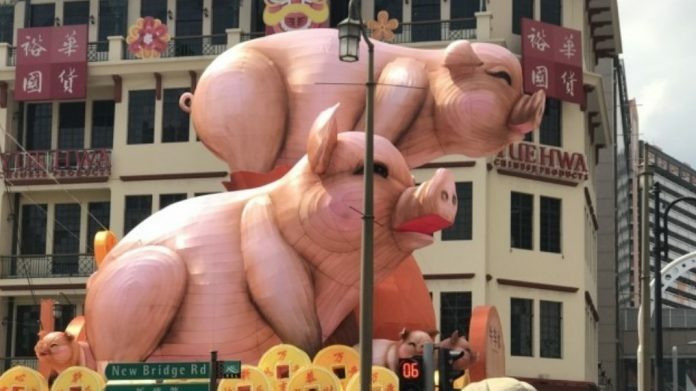 Thanking the public for their feedback and concerns, Chinatown’s 2019 CNY organising committee’s head of marketing publicity, Mr Philemon Loh, has said that the color of the pigs is not entirely pink because the design team wanted to portray how real pigs would look. Revealing that the theme of this year’s CNY celebrations at Chinatown is “Celebration of Abundance and Prosperity,” Mr Loh said that the light-up design was created by a team from Singapore University of Technology and Design (SUTD). SUTD, which is collaborating with Chinatown for the eighth year this time, worked on the design from July 2018 to October 2018 and worked with craftsmen from China’s Zigong city in the Sichuan province to come up with the final product. Mr Loh said that the group paid particular attention to the size, color and expressions of the pigs. “This year, our design was also created to portray real pigs, hence the pigs are not entirely baby pink in colour. Despite this explanation, many on social media have criticised the look of the pigs in this year’s festive decorations.